B: I had a great time. I enjoyed all the flowers and the beautiful weather. On top of it, a friend of mine introduced a guy to me. And I think I met "Mr. Right"! A: Really?! It's very nice to hear that. Come on! Tell me about him! B: He was polite and treated me with respect. A: That's very nice. What does he look like? B: He's not a lot to look at, but handsome. He seems to be honest and loyal. A: How nice! What kind of work does he do? B: He's a lawyer working for a famous law firm. * How was ~ ? “~이 어땠어요?”하고 물어보는 표현이죠? “How was your party?” (파티가 어땠어요?) How was your lunch? (점심 식사가 어땠어요? )와 같이 다양한 상황에서 사용할 수 있는 표현입니다. B: I had a great time. I enjoyed all the flowers and the beautiful weather. 온갖 꽃들하고 아름다운 날씨를 즐겼어요. On top of it, a friend of mine introduced a guy to me. 게다가 제 친구가 남자를 소개 시켜 줬어요. * introduce: 소개하다, 속어로는 짝을 지워주기 위해 소개 시켜주는 것을 ‘hook up’이라고 합니다. 내 친구가 나한테 남자를 연결해주었다는 의미로 “My friend hooked me up with a guy.” 라고 할 수 있지요. And I think I met "Mr. Right"! 제 이상형의 남자를 만난 것 같아요. Come on! Tell me about him! 그 사람은 예의 바르고 저를 존중해줬어요. B: He's not a lot to look at, but handsome. 아주 멋있진 않지만 잘 생겼어요. * He’s not a lot to look at. 별로 볼 것이 없다, 즉 “그 사람의 외모가 빼어나지는 않습니다.”는 의미. He seems to be honest and loyal. * loyal: 신의가 있는, 남녀가 사귀는 경우 ‘한 사람의 상대에게만 충실한’이라는 의미로 이해할 수 있습니다. 그 사람은 무슨 일을 하는 사람인가요? * What kind of work does he do? 직업을 묻는 말. “What line of business is he in?”(그 사람은 어떤 직종에 근무하시죠? )이라는 표현도 있습니다. 이제 대화 내용 중에서 “이상형의 사람을 만났다”라는 표현을 활용해서 영어로 간단히 대화를 주고 받는 연습을 해볼까요? A: I think I met "Mr. Right"! B: It's so nice to hear that. A: 제 이상형의 남자를 만난 것 같아요! B: 그 것 잘 됐군요. A: I think I met the man that I was looking for. B: How nice! I am so happy for you. A: 제가 찾고 있던 남자를 만난 것 같아요. B: 정말 잘 됐군요! 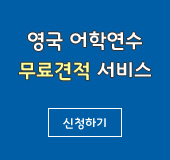 정말 기뻐요. A: I think I finally met "Mr. Right"! B: Is that right?! I'm glad to hear that. A: 마침내 제 이상형의 남자를 만난 것 같아요! B: 그래요?! 그 것 참 잘 됐군요. He was polite and treated me with respect. He's not a lot to look at, but handsome. 그 사람은 솔직하고 성실한 것 같아요. He's a lawyer working for a famous law firm.